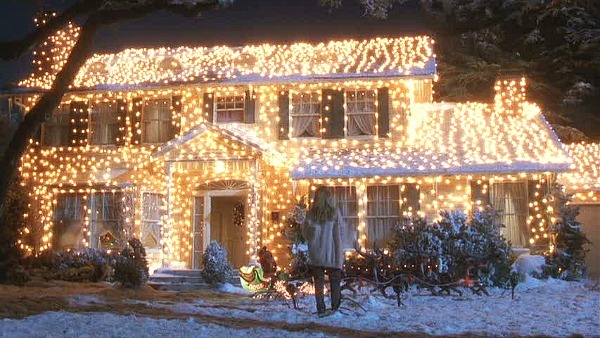 In the movie “National Lampoon’s Christmas Vacation,” Clark Griswold may have gone a little overboard with his Christmas lights, but if he was selling his house, he may have had the right idea. “Great decorations really set the tone for the holidays, a time when you can showcase your home in a different way to highlight areas that normally may not stand out,” said Amy Cornwell, President/ Lead Designer for Creative Impressions, which specializes in seasonal decorating. By creating a festive atmosphere, a home seller allows perspective buyers to envision what their holidays will be like in the property—complete with a beautiful tree, stockings hung from the fireplace mantels and the smell of Christmas cookies in the air. Nighttime is when many perspective buyers are driving around looking at houses, and nothing will slow them down more than a great Christmas light display. “A well-designed display adds festive elegance to a home, and highlights the already-present features of the property,” said Brandon Stephens, vice president of Marketing at The Decor Group, Inc., Lubbock, Texas, specializing in interior and exterior holiday decorating. In fact, consider holding an open house at night, when you can serve hot chocolate and better show off the Christmas lights, holiday decorations and all that the house has to offer. Keep decorations to a minimum so you don’t block views, make rooms feel smaller and disrupt the natural flow of the home. Consider a smaller tree and store gifts in another room. Eschew religious or cultural decorations to not alienate prospective buyers who don’t share your beliefs. Leave a plate of holiday cookies and warm cider or cocoa for prospective home buyers. The holidays are emotional times for most people, including home shoppers. Holiday decorations, presented tastefully and sensibly, can help you wrap a bow on your home for just the right buyer.